Mukanya Arts, a subsidiary of Self Help and Development Foundation and other various organisations have defied odds by introducing reusable sanitary pads in an effort to empower the girl child in this harsh economic condition economy. The arts center has taken it upon itself to train women in their respective constituencies and nationwide in the re-usable sanitary pad project which is meant to ensure that every vulnerable girl in the rural and urban areas has access to hygiene ware. Collen Mukanya of Mukanya Arts based in Bulawayo, is pone of the people that have been training women and young girls on craft work and re-usable sanitary wear manufacturing. Mukanya said the reusable sanitary pads will go a long way in helping vulnerable girls out there. 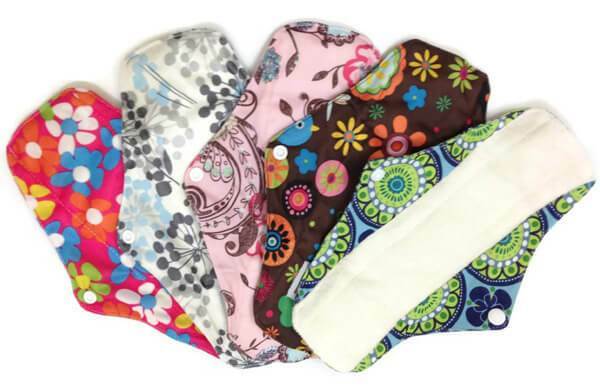 “These pads are cheap and affordable to young girls and women given the current economic conditions. Moreover, re-usable pads are environmentally friendly in that they are washable and can be burnt after more than a year. Some of the pads being bought in the shops are fire resistant and given how some people dispose them, they can be picked by dogs. Culturally, it taboo for ladies blood to be seen everywhere. Re-usable pads are healthier,” Mukanya said. Speaking to one woman only identified as Mai Vhunze, who attended the exhibition from Chihota, she said they are more happy about the project since sanitary pads prices have done beyond the reach of many girls and women out there. “We are happy that as women, we have another problem solved. It is a reality that a number of girls are struggling to purchase sanitary pads and this project will go a long way in alleviating the problem,” said Mai Vhunze. The Canadian Ambassador, René Cremonese has been doing much to meet the needs of girls and women in the society whilst supporting the local organisations. “Another barrier to full participation of women and girls is seen in the attitudes and access to menstrual health. Many girls do not have access to proper sanitary wear and they end up using unhygienic material like cotton cloths, newspapers and even cow dung,” said Cremonese. A survey by the Ministry of Women Affairs, Community, Small and Medium Enterprises indicates that 20 percent of the girls miss school due to menstruation while 62 percent miss school due to lack of sanitary wear. “It is in encouraging to note that due to the re-usable sanitary pads projects in Seke and Mrewa, there has been a significant drop in the number of girls missing school during their menstrual cycles,” Cremonese said. “Our group of HeforShe male diplomatic champions have pledged to work consistently to be advocates for menstrual hygiene, opponents of policies and attitudes which enable gender based violence, supporters for the advancement of gender equality and campaigners for an end to child marriages,” said Cremonese.